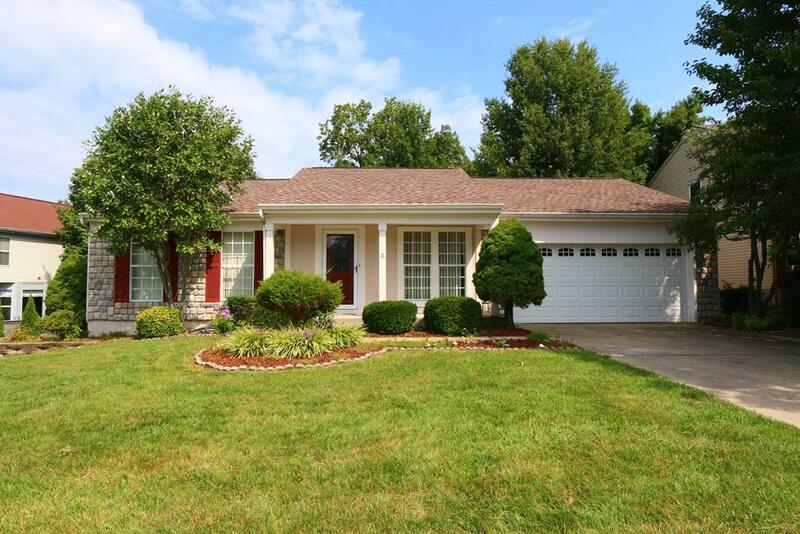 Hopeful Church Rd, R on Cayton, R on Beemon Ln, Ron Fox run, L on Fairoaks, L on Persimmon Ct.
Drees Built Ranch Home on a nice cul-de-sac lot with mature trees giving nice privacy. Home features 2 bedrooms, 1 full bath, a living room, large family room with laminate wood flooring, dining room and eat in kitchen with walkout to lovely deck great for relaxing. Large unfinished basement with unlimited potential! Newer roof and A/C.